Our theatre complex consists of 4 well-resourced operating theatres, private surgical consulting rooms, a post-anaesthetic care unit to look after you when the anaesthetic wears off and a central sterilising department that provides sterilising services for Northeast Health. 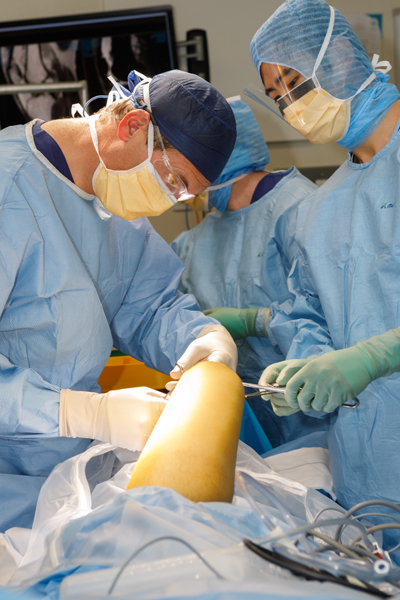 We offer a range of surgical procedures with different levels of complexity including orthopaedic surgery, which is the reconstruction or replacement of joints, repair of sports injuries and the removal of musculoskeletal tumours. We understand that a visit to the operating theatre can be very stressful so our team of highly qualified medical consultants, surgeons, nurses, technicians and allied health professionals are here to make sure that you receive the best perioperative care, which is the care you receive before (pre-operative), during (intra-operative) and after (post-operative) your surgery. A qualified registered nurse will be assigned to look after you for the duration of your surgery and every effort is made to ensure your visit with us is as comfortable as possible. After surgery, you will recover from the anaesthetic in our post-anaesthetic care unit before being transferred to the surgical ward.